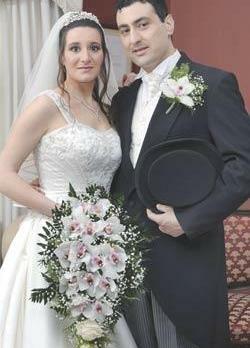 Mark Fenech Vella and Fiorella Mifsud Saydon were married on April 12 at St Catherine parish church, Zurrieq. Mark is the son of Mr and Mrs Charles Fenech and Fiorella is the daughter of Mr and Mrs Joseph Mifsud. Nuptial Mass was celebrated by Mons Karm Farrugia, Fr Charles Fenech and Fr Charles Attard. The ceremony was witnessed by Isabelle Busuttil and Patrick Fenech. Aris Cefai acted as best man. The bride was attended by Sonia Camilleri. Roberta and Renée Marie Attard were flower girls. A reception was later held at Castello Dei Baroni, Wardija. The couple spent their honeymoon in Italy.